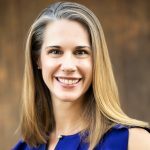 Heidi Connal is a seasoned technology executive with over twenty years of experience building collaborative, compassionate, and high performing individuals and teams. Heidi is known for her strategic expertise in large global enterprises, most recently as an executive at Salesforce. Courtney Caldwell is the Cofounder & COO of ShearShare, the first on-demand salon and barbershop space rental app. 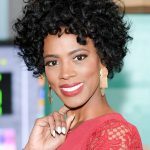 She is also an award-winning entrepreneur and tech founder and has spent two decades building winning teams in tech marketing. Mike has developed a unique perspective from 20+ years working alongside world-renowned thought leaders. 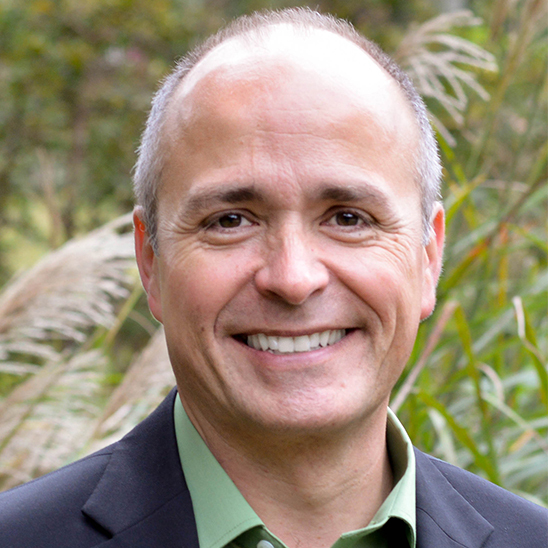 He is a leading authority on unleashing personal and organizational accountability. Clients rely upon Mike’s solutions to accelerate change, shape their optimal culture, flawlessly execute key strategies, ignite leadership capacity at all Levels, amplify employee engagement, and cultivate peak performance. 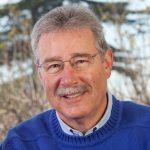 Barry Posner has received countless awards and has been ranked among the most recognized and influential Leadership Coaches, Most Influential HR thinkers, and among the top Leadership and Management Experts in the world. 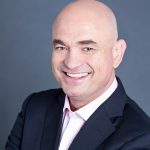 The entrepreneurial genius, Troy Hazard, has founded and nurtured twelve businesses over two decades, has turned around businesses that were making enormous losses, and has consulted to countless successful companies including Goodyear, Baskin Robbins, Subway, Fisher & Paykel and many more. * Ranges are presented as a guideline only. Speaker fees vary by engagement type and are subject to change without notice. For an exact quote, please contact Gravity Speakers. 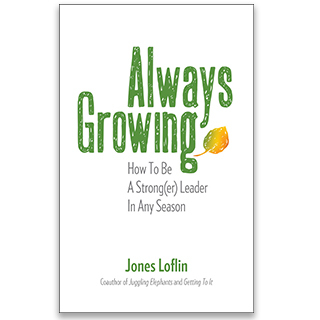 Jones Loflin has made it his life’s work to deliver powerful ideas and practical solutions to individuals and organizations struggling with too much to do. His books are described as “illuminating” and his presentations as “unforgettable.” In his 23 years as a speaker and trainer, he has helped countless people regain confidence in their ability to achieve greater success in work and life. Jones’ innovative solutions on leadership, change, and time management has attracted the attention of organizations around the world. His client list includes Federal Express, Wal-Mart, Choice Hotels, Toyota, Bridgestone, American Farm Bureau and State Farm as well as the United States military. His international clients include Saudi Aramco, Gillette, and Aramark Canada. Looking for ways to expand the reach of his message, Jones chose to become an author. His newest book, Always Growing, offers fresh strategies to lead change whether you have been leading for two days or two decades. Juggling Elephants is a witty and profound parable about one man’s search for a better way to get everything done. The book is available in the US and over 14 countries. 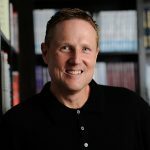 He is also the author of Getting The Blue Ribbon, a unique story offering simple strategies to get better results. 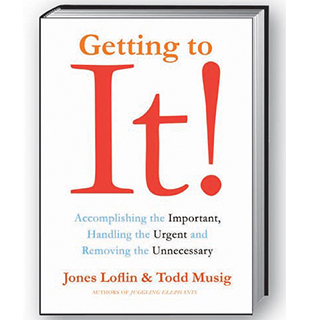 Getting to It is considered a field guide to accomplishing what is most important. Prior to becoming an internationally-recognized speaker, Jones was an educator. His past work includes serving as the “Trainer of Trainers” for the best-selling book, Who Moved My Cheese? Jones is also a Co-Active coach, focusing on the areas of leadership, change, and time management with his clients. He is a member of the National Speaker’s Association as well as the Association for Talent Development. Jones is grateful for every opportunity to work with individuals and organizations seeking better results. He lives in North Carolina with his wonderful wife Lisa and their two perfect daughters. You’re busy. You are already feeling overloaded. You’d like to build greater capacity in the members of your team, but where would you find the time? In short, you want to take your leadership to the next level, but the question is “How?” You need a fresh and practical blueprint. Jones Loflin says that new approach is built on four words: Grow, Cultivate, Prune, and Harvest. In this innovative and engaging presentation built on timeless principles, Jones equips leaders to identify where change is needed in their daily activities and take productive action. It’s time to get “growing” and harvest something better for your people and your organization. Discover the powerfully practical model of looking at leadership from the perspective of a “gardener” or “grower” of people. Understand how to create the environment for their team that delivers their best work. Learn the three specific areas they need to address daily as a leader or manager. Explore what is limiting their success as a leader and what’s holding their team members back. Appreciate the value of celebrating more small wins with their team members. Organizations choosing this program include Volvo, Choice Hotels, and several federal agencies. Jones has delivered the program to audiences from around the world and they all appreciate the way the model immediately addresses their specific needs regardless of their level within the organization. Stop Juggling Elephants and Start Being The Ringmaster Of Your Circus! See if this sounds familiar. Too much to do and too little time. Feeling overwhelmed with non-stop stress. This dilemma is not only negatively affecting your performance, but your lack of time to lead and manage effectively is limiting the productivity of others. And you have zero time to nurture your own personal well-being! If you’re tired of feeling like you’re juggling elephants, Jones Loflin has a fresh solution for you… run off and join the circus to improve your work-life satisfaction! In this powerfully practical presentation, Jones offers 5 simple strategies to begin getting your most important things done more often. Using the analogy of a successful circus, expect to learn how to more effectively manage your own workload and develop routines that provide for your personal wellness and richer relationships. When Jones is done, you’ll be equipped to get more standing ovations from everyone… including yourself! Recognizing the fallacy of trying to “get it all done”. Learning how to take more conscious control of your time and energy. Following a 4 step process to experience greater productivity and results. Identifying key distractions and interruptions limiting your productivity-and how to better manage them. Leveraging the insights from 3 circus acts to more fully engage the energy of others to help you accomplish your highest priorities. Creating a plan to increase the focus on your own personal well-being and lower your stress. 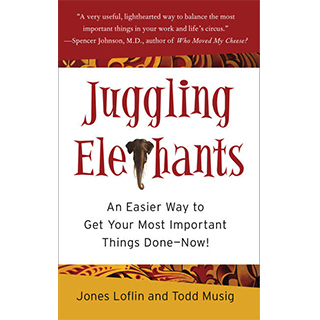 Strategies are based on Jones’ award-winning book, Juggling Elephants. How busy are you? In the daily struggle to get it all done, what are you forgetting? Is your mind constantly racing with lists of all the things you could and should be doing? Does your day often feel like you are treading water in an ocean of rushes and deadlines, trying to keep from drowning while handling increasing work demands? If so, it’s time for you to get to IT-your most “Important Thing.” Define IT. Focus on IT. Even get excited about IT. Now We Go Home… So What? You have packed the bottles of shampoo and lotion from your room, taken one last gaze out your hotel window, and started thinking about how far behind you are at work. But have you “packed” the right strategies to achieve better results when you return home? How will you take all you have gained at this event and implement these ideas into an already overloaded schedule? Jones Loflin says the answer lies in 5 simple words: Who, What, Where, When, and Why. This program can also be modified to fit for the opening session of a conference or event. The suggested title then becomes We Are Here… Now What? While much time has been spent on how to create a diverse workplace, little attention is often given to how work can best get done with so many different backgrounds and perspectives in an organization. Failing to address these differences only serves to limit individual productivity and diminish the ability of diverse teams to work cohesively and get the best results. In this powerfully practical presentation, you will discover how to bridge the productivity gap between different populations in the workplace to ensure that both individuals and the organization are accomplishing what is most important. In this program, you will explore the significant impact your personality can have on how you communicate with others. Learn what it means to be an “aggressive listener,” hearing both the content AND intent of the words spoken by others. You’ll also discover the negative power of “trigger words” and how to reduce them in conversations with team members. Expect to gain fresh insights on how to motivate individuals across all generations with your words. Most importantly, you will leave better equipped to express your own thoughts with greater clarity, confidence, and competence to those around you. Any of Jones Loflin’s programs can be customized to fit your specific needs. Stay up to date with Gravity Speakers. Subscribe to receive email notifications about our speakers, events, and latest news. © 2019 Gravity Speakers. All Rights Reserved. Gravity Speakers, LLC (“Company”,“We”, or Us”), respects your privacy and is committed to protecting it through compliance with this policy. This policy describes the types of information we may collect from you or that you may provide when you visit the website www.gravityspeakers.com (“Website”) and our practices for collecting, using, maintaining, protecting, and disclosing that information. Company is the data controller for information processed through the Website. When you interact with our advertising and applications on third-party websites and services if those applications or advertising include links to this policy. Our Website is not intended for nor targeted towards children as defined by applicable law. We do not knowingly collect personal information from children. If you are younger than the age of consent in your jurisdiction, do not use or provide any information on this Website or on or through any of its features or provide any information about yourself to us, including your name, address, telephone number, email address, or any screen name or user name you may use. If you believe we might have any information from or about a child under the applicable age of consent, please contact us at Privacy@gravityspeakers.com and we will delete it. Information that you provide by filling in forms on our Website. This includes information provided at the time of requesting further services. We may also ask you for information when you enter a contest or promotion sponsored by us, and when you report a problem with our Website. Records and copies of your correspondence with us (including email addresses). When you use the Website and provide information to Company through the Website, your information may be transferred to a destination outside your jurisdiction, including to the United States. The United States has not received a finding of “adequacy” from the European Union under Article 45 of the GDPR. Company has executed agreements between its affiliates and subsidiaries in accordance with Article 46 of the GDPR. Company also relies on derogations for specific situations set forth in Article 49 of the GDPR in order to transfer personal information across international borders outside of Company, its affiliates, and subsidiaries. In particular, Company transfers personal information across international borders only: with your consent; to perform a contract with you; or to fulfill a compelling legitimate interest of Company in a manner that does not outweigh your rights and freedoms. Web Beacons. Pages of the Website and our e-mails may contain small electronic files known as web beacons (also referred to as clear gifs, pixel tags, and single-pixel gifs) that permit the Company, for example, to count users who have visited those pages or opened an email and for other related website statistics (for example, recording the popularity of certain website content and verifying system and server integrity). For any other purpose to fulfilll our legitimate interests or with your consent. We may disclose aggregated anonymized information about our users without restriction. Promotional Offers from the Company. If you do not wish to have your contact information used by the Company to promote our own or third parties’ products or services, you can opt-out by checking the relevant box located on the form on which we collect your data or at any other time by sending us an email stating your request to Privacy@gravityspeakers.com. If we have sent you a promotional email, you may send us a return email asking to be omitted from future email distributions. We do not control third parties’ collection or use of your information to serve interest-based advertising. However, these third parties may provide you with ways to choose not to have your information collected or used in this way. You can opt out of receiving targeted ads from members of the Network Advertising Initiative (“NAI”) on the NAI’s website: https://www.networkadvertising.org/. To the extent required by law, Company provides you with (i) reasonable access to the personal information collected through the Website, and (ii) the ability to review, correct, export, and delete such personal information. Please contact us using any of the methods identified in the “Contact Information” section if you would like to exercise your individual rights and for information on any fee required to obtain copies of your personal information. We may need to obtain or confirm certain personal information in order to accommodate your request. We will not accommodate a request to change information if we believe the change would violate any law or legal requirement or cause the information to be incorrect. California Civil Code Section § 1798.83 permits users of our Website that are California residents to request certain information regarding our disclosure of personal information to third parties for their direct marketing purposes. To make such a request, please send an email to Privacy@gravityspeakers.com or write us at: 570 El Camino Real, #150-250, Redwood City, CA 94063, Attn: General Counsel. We use commercially reasonable measures to secure information collected through the Website. Unfortunately, the transmission of information via the internet is not completely secure. Although we do our best to protect your personal information, we cannot guarantee the security of your personal information transmitted to our Website. Any transmission of personal information is at your own risk. We are not responsible for circumvention of any privacy settings or security measures contained on the Website. European Union: Company’s Data Protection Officer is Nausheen Razzak, and can be contacted using the information above. You can request copies of Company’s GDPR Article 46 agreements from the Data Protection Officer. Please contact the Data Protection Officer if you believe Company has processed your information in a manner inconsistent with your privacy rights. You also have the right to contact a supervisory authority if you believe Company has processed your information in a manner inconsistent with your privacy rights.